Description: This technique needs handseals. A basic skill involving quickly switching the body with another plant, animal or inanimate object that has been previously prepaired. This is used to confuse the opponent momentarily and create an opportunity to attack or possibly escape. Description: This technique needs handseals. A basic technique which creates false clones of the user. The clones are used as a diversion while the user attacks. The clones are incapable of attacking and disappear if directly hit. Description: One of the two ways avaliable for freeing a ninja from genjutsu, the other being another source of intense pain. The user will stop the flow of chakra in their body, and then apply an even stronger power to disrupt the flow of the caster's chakra thus dispelling the genjutsu. The user of this technique can only dispel genjutsu of people their rank or lower. Description: Raiton Bunshin no Jutsu is a Ninjutsu technique that utilizes lightning to create a Bunshin clone. This technique needs handseals. The clones are used as a diversion while the user attacks. The clones are incapable of attacking and disappear if directly hit. If one comes into physical contact with one, they get shocked slightly. Able to create four with each use. Description: Black clouds form in the sky blocking out the sun. Flames then fall from the sky continuously scorching the ground. Description: a Taijutsu technique utilizing the Fire Element. The user will first focus chakra into their hands, and concentrates it into actual flame around their fists. This is normally a difficult task, but skill in Ninjutsu makes it easier. The fire is used to add burning damage to the user's taijutsu strikes, as well as allowing them harm the opponent through certain kinds of armor. Description: Focusing wind chakra into cupped palms, the ninja will launch into a flourish of sweeping taijutsu. Upon gaining an opening, the ninja will lash out towards the sides of the head or a vulnerable spot. The resulting impact will create a stunning clap as the chakra is released. By hitting from the neck up the ninja can damage the opponents eardrums, direct contact to the sides of the head will result in permanent hearing loss (Unless medical aid is found). Description: This is a simple genjutsu that could be used during missions or even battles to throw off an opponent’s senses. 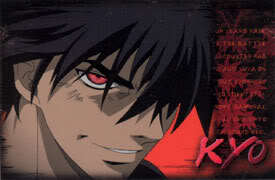 Kyo coats his hands with chakra and upon making contact with any part of the opponent’s body he is able to disrupt the electrical message flow within their body. The opponent finds the world around them immediately spinning extremely fast making them dizzy. After stumbling for a while they look up finding themselves in an inverted world. Everything is upside down and works backwards. For example, if they think of dashing forward they move backward, Right is left and Up is Down. Just as the name implies this is clone jutsu made out of blood. This jutsu works exactly the same way as the lightning style shadow clones and shadow clones in the fact that it transfers all knowledge gained and experience gain when dispelled to it's caster. However what makes this jutsu different from all other cloning jutsu is that it doesn't dispell upon getting hit like all the others do. 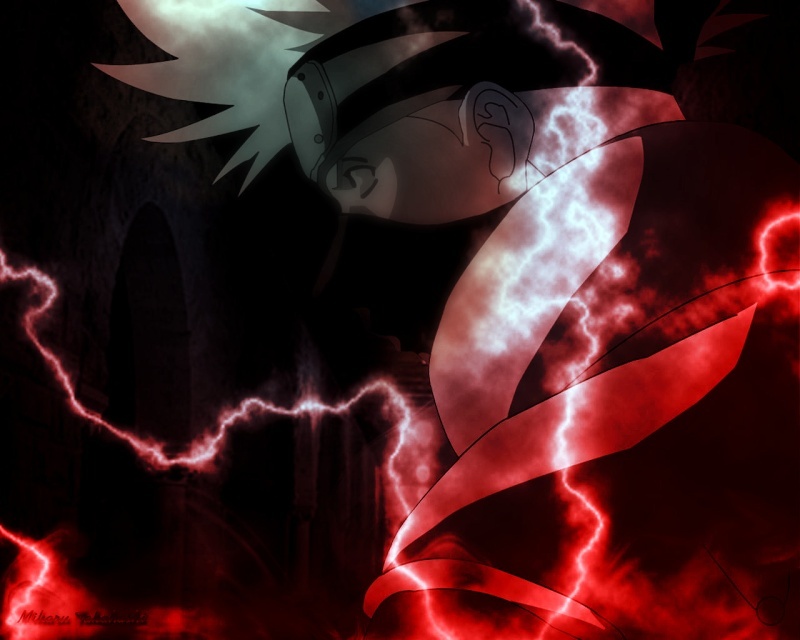 Description: The Rasengan was designed to use the caster's elemental affinities. It does not require any hand seals to use, relying only on the chakra control of the user. Once it is complete, it becomes self-sustaining, which does not give the Rasengan a definite limit like its counterpart, the Chidori. The compacted nature and moving speed of the chakra allows the Rasengan to grind into whatever it comes in contact with, inflicting major damage.